Joe Eschenbrenner CPF, General Manager of Demand Management at The Timken Corporation, recently presented an extremely informative IBF Webinar entitled Organizational Alignment and Consensus: How to Engage All Functional Areas within the Forecast Development Process. Joe’s amazing presentation focused on how demand planning professionals can engage functional areas within the forecast development process. Joe explained in detail that this involves relating in the language of those functional areas, driving mutual accountability of both the piece and dollar forecast, and developing a definitive consensus with all those vested parties using the same base forecast information for decision making assumptions. As a follow up to his February 4th IBF webinar, Joe has gladly provided answers to the overwhelming number of questions that were submitted from participants during the webinar. If you would like to receive an emailed copy of his webinar presentation please feel free to contact us at the IBF at knowledge@ibf.org. Q: How do you influence your Sales & Marketing people to look long term rather than the usual short term approach, as they are driven by targets and bonuses? A: Our focus is currently 18 months. Sales and Marketing’s view may be shorter so Demand Planning drives the 6-18 month through statistics and standard forecasting best practices. Q: What system software are you currently using for your forecasting needs? A: Logility Voyager is our current software. Q: For cost and value forecasting, is your module able to use time weighted forecasting to define different selling prices through your forecast horizon? A: Yes. We have the option of a different price per each unit which in our case is months. Q: Do you include Field Sales inputs? Any collaboration meetings with Customers? A: Yes. However, our inputs are limited. We do have monthly key customer meetings chaired by our demand planning department. Q: What are the biggest push backs you’ve had on your journey to forecasting alignment? A: Change in general is the biggest push back at this time. However, due to the positive impacts of the solution the facts now help drive the results. Q: Regarding the consensus meetings, do you find it easier to have consensus meetings per region and then compile to one global consensus meeting? Or do you organize only on global consensus meeting? A: Yes, we find that the regional meetings work best for our teams, although smaller and more specific business groups can use the global consensus meeting approach..
Q: What is your typical accuracy at a product category level? A: At a product group we expect an accuracy 96%+ (volume level). We measure our WMAPE at the item levels. This accuracy varies from 85% to 65% depending on the variability of the demand. Q: Does the new tool enable real time conversion between unit forecast, cost forecast, and rev forecast? And secondly, does it aggregate price and cost data up the pyramid? A: Yes our tool does handle real time the conversions. We input the data at level 1 so we can aggregate values at any level. Q: The Demand planning team will generate the demand forecast (units) that is the base demand but from my understanding sales, marketing and finance should generate their own “forecast/plan” as well in order to allow better alignment and discussion during the S&OP meeting to achieve a final consensus number. Is that a correct statement? A: There are many ways to organize the consensus process, some may disagree but each organization has their own strengths and unique structures. I believe it is the demand planner that tees up the disconnects with the forecast based on exception management. We ask sales to communicate structural changes and marketing to drive industry direction. From this, demand planning will create the forecast and the base consensus discussions. This is a great discussion to continue in Scottsdale. Q: How do you resolve the difference between an aggressive business forecast(say for outside investors) and a more reasonable forecast for inventory and production to follow? A: We create the demand planning financialized forecast that is used by the finance community. Due to this approach, we feel we have outstanding alignment which minimizes these potential conflicts. Q: What inputs do you require from the different stakeholders? A: Sales provides us with the voice of the customer. Sales and Marketing provide their industry insight. The demand planning team provides everyone with exception management information to identify areas of opportunity. Third party industry data is also discussed. Q: How long did it take your organization to get the process to a point that was stable and confident? A: As stated during the webinar, initial movement towards a demand driven organizational structure takes some time. We saw benefits from day one yet forecast accuracy continued to improve but over the first few years. The initial year one of any implementation is a monumental challenge. The benefits of changing to a new demand planning tool from a mature state takes < 6 months from implementation. Q: What type of Forecast Accuracy improvement have you seen through the time period of gaining consensus and moving to the new Demand Planning module? A: Our initial improvements when we moved to a demand planning solution were quite significant. Then improvement then leveled off. With the new solution we saw greater than a 5% reduction to our forecast accuracy. Based on the trend I expect to see a similar number in year 2. Q: How would you define success? A: We define success as forecast accuracy improvements at all levels of the forecast (demand planning, financial etc). In addition, we look at productivity savings based on the new streamlined processes as well. 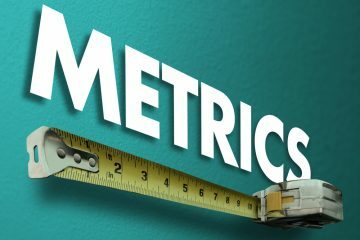 Q: Are there different metrics for different departments such as Sales and Marketing? A: Absolutely. Sales and Marketing use a short term forecast macro accuracy in dollars and demand planning still uses multi horizon WMAPE, WVolume and VA metrics. Q: How do you get marketing engaged to own the forecast based on the inputs they give to the demand planning process? A: Marketing’s engagement came naturally for us as the financial forecast began to be driven by the demand planning piece forecast. They quickly came to understand that the way to impact the forecast was through the consensus process, which allowed them to become very vested and involved. Q: What is the general structure of your consensus meetings and who are the required attendees? A: The meetings are monthly and are owned by the demand planning team. The principle demand planner chairs the meeting that includes key stakeholders from marketing, sales, finance, and customer service. My demand planning organization is aligned to our front end structure and manages by industry. Q: How well are you dealing/managing quarter end pushes or areas where the business influences demand to meet certain financial objectives? How much of your team’s resources are spent in correcting sales history? A: Our goal remains focused on the pure demand of our customers which is where we allocate the majority of the resources. Pull ins are managed as a walk from the base financial forecast. If we have information in advance, we will certainly work them into the forecast but these are generally the last changes to be addressed. Q: How do you know your baseline forecast algorithm is set correctly? A: It is about the journey. Our goal is to continue to improve the baseline statistics. The answer changes by demand type and often seems like a moving target. Q: Sometimes, Marketing and Sales have different forecasts (driven by different constraints). How do you deal with this in your consensus meetings and which numbers do you take? A: This is a strength of the dollarized demand planning forecast. Once sales and marketing are educated in how demand planning operate, then they begin to understand (if we don’t forecast the pieces they will not be available to sell) and the bias softens some. There are also no detailed marketing or sales forecasts. They use the demand planning financial forecast that they help via collaboration to build. Joseph Eschenbrenner currently holds the position of General Manager of Demand Management for The Timken Company. He is responsible for the demand plan for $3 billion in sales and in excess of 2 million unique customer/item combinations. Joe has over thirty years of experience with Timken and in the bearings industry within Marketing and Supply Chain. Joe received both an MBA and Masters in Finance Degrees from Rensselaer Polytechnic Institute and holds a Bachelor’s degree in Mathematics and Statistics from the University of Connecticut. Joe has also served as past President of the AMRC (Automotive Market Research Council), is currently the Chair of their Economics Committee, is a member of the National Association for Business Economics (NABE), CSCMP, and is a Certified Professional Forecaster(CPF) through IBF. Joe will be presenting an enhanced and detailed version of this webinar at the upcoming IBF supply Chain Forecasting and Planning Conference in Scottsdale, AZ on February 22nd-24th. For registration information about the event, please visit our events page at our website for the Institute of Business Forecasting at www.ibf.org.